I imagine demoing a horror game at a convention is pretty daunting. A large part of what makes the genre work is the atmosphere in which you play the game, and a packed convention floor is the exact opposite of the desired surroundings. Developer Red Barrels had this hurdle to jump when presenting its upcoming horror title Outlast to the public at PAX East over the weekend, and the solution was interesting. Set up within the Indie Mega Booth, the studio had two PCs stationed inside what were essentially voting booths. Players would enter through a curtain into a tiny room, put on a nice set of headphones and dig in. And not only did the attempt at atmosphere work, the game looked pretty good as well. The demo opened outside the dilapidated Mount Massive Asylum as I took control of journalist Miles Upsher. Sure he can find a story within the mysterious past of the place, he intends to investigate the history of the asylum first-hand. Comparisons were made by the staff mulling around the booth to games such as Amnesia: The Dark Descent and Mirror’s Edge, and the influences show. The front of the building was littered with scaffolding, which was my first exposure to the game’s traversal mechanics. With very deliberate actions, I climbed upward, as pulling myself up onto a platform took a few seconds. Jumping gaps in the makeshift pathways had their own animations, as did each of the parkour-ish elements. Eventually I found my way through a broken window, which I climbed through one leg at a time. Once inside, I was introduced to Upsher’s trusty night vision camera. Functioning much like the lantern in Amnesia, it allows players to see in the dark, but has a fast draining reagent in the form of batteries. As I skulked through the first few darkened rooms, the asylum was in a general state of disarray, with the occasional blood-stain streaked across the wall. I soon realized I wasn’t alone. Darting figures in the distance were accentuated by building crescendos in the soundtrack, made all the more effective by the isolated nature of the demo. Exploring further brought on one grisly scene after another, as I soon found the scattered remains of what looked like some sort of government special forces. Bodies were brutalized and beheaded; the grainy nature of the night vision camera made the situation even creepier. The main confrontation of the demo included a hulking mutant, hell-bent on my destruction. Now forced to run through areas I previously explored, the light mechanics became really interesting. I was forced to constantly switch between my normal vision and the night vision camera to have any sense of where I was going. Mix this with the impeccable sound design, which worked fantastically to let me know how close the enemy was without ever having to look, and Outlast became truly disorienting. By the end of the demo, I was wide-eyed and my heart was racing; I was ready for more. It’s great to see another developer willing to take a chance with the horror genre. Not only is Red Barrels willing to dive into this niche, they’re willing to make you actually helpless. That feeling is necessary for a game like this to work, and this seems to be the sense the studio is going for. 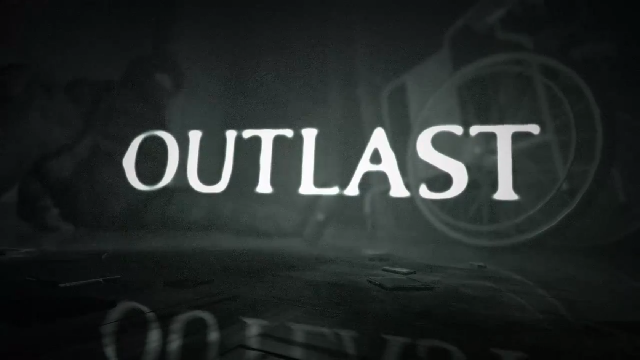 Outlast is scheduled to hit the PC later this year, and I can’t wait to get my hands on it.